Over a short period from Children in Crossfire’s creation in 1996 to now; the summer of 2018, a lot has changed in the world, and at home. Yet, its lovely wee office has stayed rooted and supported in the heart of Derry. The capacity for change stems from our ability to change. CiC believes that this change comes from education which has the power to navigate people out of poverty and build up the sustainability of a local community. Derry, while some see it has still having wounds, is a community empowered to move on and sprout. In my time getting involved with the public engagement project I’ve witnessed a change in myself, becoming more and more involved in CiC and wanting to do more good in the world, as well as in the people the project brought me closer together with, and the impact we’ve made together. Because under all the terminology and fancy jargon, CiC’s outreach is sprouting faster with every community it helps. The impression still, is of an organisation that simply does charity work like giving water to people in Africa, a vast understatement to say the least. The community it has become, with its branches reaching out as far as Ethiopia and Tanzania maintains respect for the roots at home. 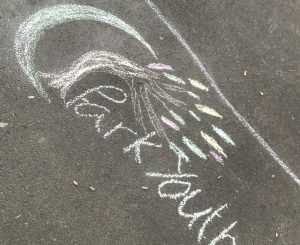 Sprouting little groups like my own park youth, which aims to make St. Columb’s park an inclusive, wholesome and most importantly a well-used place for all. Working to reduce the stigma that the youth in our city are a negative influence. CiC and the park youth (of St. Columb’s park) helped with public engagement by organising the Games Night events. The programme itself established a basis for growth with CiC incrementally giving us more independence having made a foundation for growth and, allowed us the freedom to choose what we want to do as a group and community. The Group is planning more and more of these and is always willing to take on new members. I urge those who are interested in joining or getting involved in volunteering to go for it! As it can really make an impact on yourself and the world around you. It could be as little as putting your loose change in a charity box or as massive as a charity fundraiser! Whatever you do it all contributes and adds to our global community, and if there’s anything I can take away from my short time with CiC, it is, that not everyone can be directly involved, but if you really have a passion for it you’ll find an excuse to do it.